Six Giraffes is about to get tangled--with Zentangle, that is! The Zentangle® Method is an easy-to-learn, relaxing, and fun way to create beautiful images by drawing structured patterns. Rick Roberts and Maria Thomas created this entrancing art form as a way to make drawing accessible and enjoyable for people of all ages and abilities. 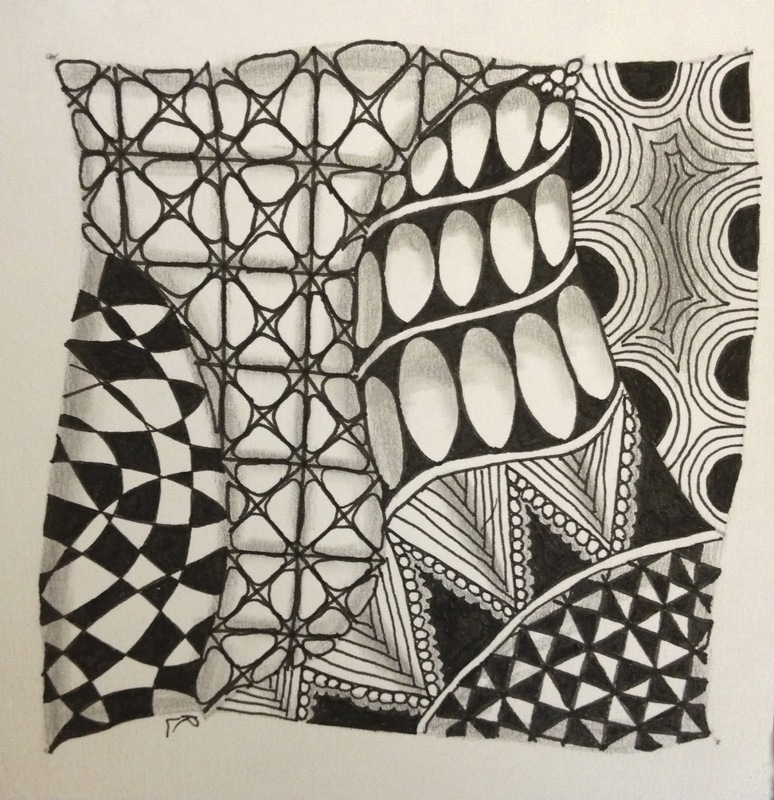 Everyone has their own story of how they came upon the art of Zentangle. A good friend introduced me via Pinterest a few years ago. It took me awhile before jumping in, though. After the toughest year of my career, while simultaneously planning my wedding, I began learning patterns online as a way to de-stress. Instantly I was addicted! My puzzle solving brain was satisfied and happy. I spent many evenings with pen and sketchbook in hand. 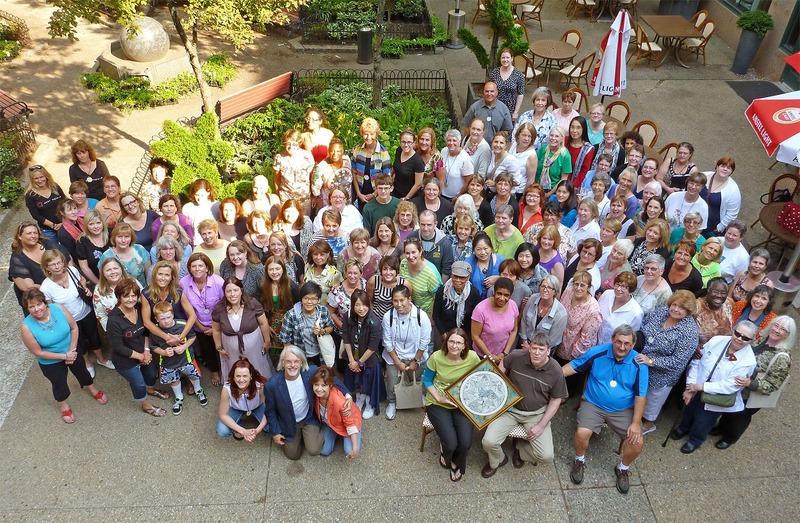 Later that fall, my teaching job became exceedingly overwhelming, and I began to see that I was ready for a change. Tangling became my comfort and meditation. It soothed my anxious mind and helped me to slowly embrace a new way of doing life. I made the move to leave the classroom, and as a symbol of that change, I left for the Certified Zentangle Teacher training a week after school let out. Since then, as a Certified Zentangle Teacher (CZT), I've had the honor of sharing this art method with many children and adults. While it's possible to teach yourself to draw the patterns from online resources, taking a class with a CZT allows you to experience the intention behind the method. 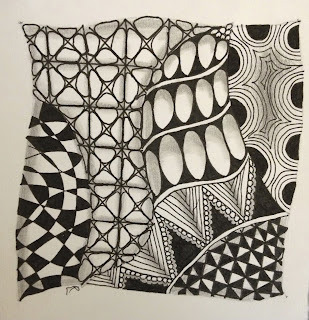 You see, the Zentangle method is about more than drawing. It's also about mindfulness, risk taking, openness, and inspiration. Consider taking a class! But be careful, you might become just as addicted as the rest of us. Look at this friendly bunch of CZTs! 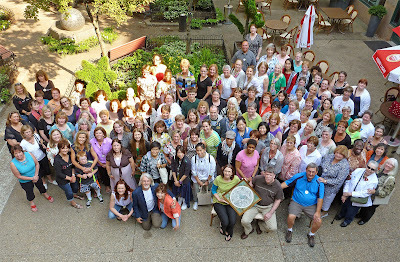 I'm in the center.